I’ve made this dish the day after my trip to Newcastle. Maybe I have been enjoying Newcastle’s food scene so much that I wanted really simple food when I came back. It’s my way of giving my body a rest ha! This was some sort of put together dish. So feel free to eyeball your way through when making this dish. Don’t fret though. I will still include the recipe as a guide. 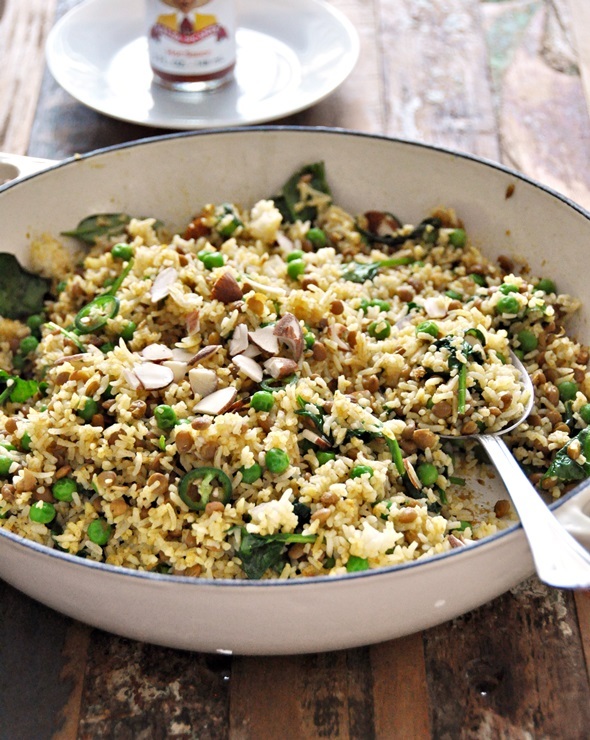 Think of this dish like fried rice but without the eggs, and with the mixed curry spice. It is no doubt an easy peasy dish which you can easily make intuitively. Cheers to cooking intuitively! Add 1 tbsp of vegetable oil in a large frying pan. 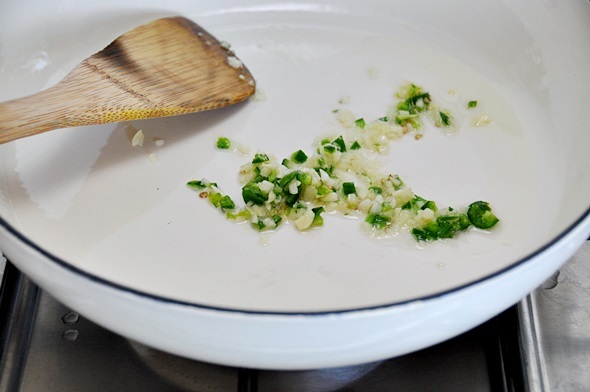 When the oil is hot, add garlic and green chilli and sauté until they just become aromatic over low-medium flame. 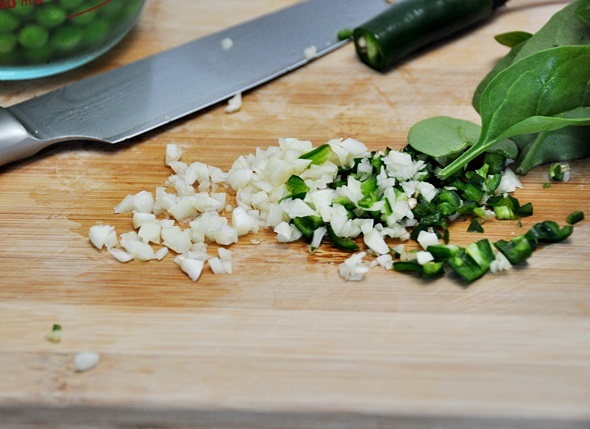 Add curry spice mix and sauté over low heat until aromatic – add more oil if the mixture appears to be dry and start to stick to the pan. Add cooked rice and lentils, sauté until well combined with the spice mixture. Add peas and cook until the rice and lentils are very well heated through and peas are softened. Stir in a handful of baby spinach until slightly wilted. Add salt and pepper to taste. 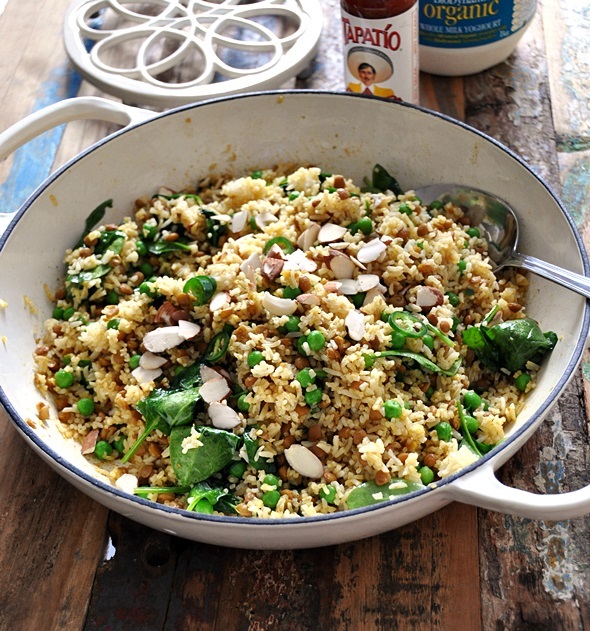 Garnish with toasted almond flakes and chopped fresh coriander just before serving. 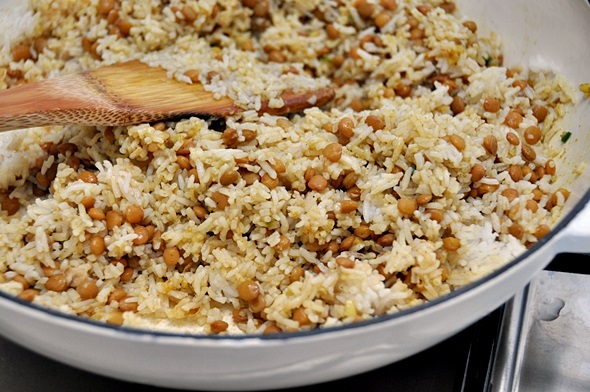 I personally love this rice dish with garlicky yoghurt. What you’ll have to do is to grate, say 1 to 2 small garlic cloves (depending how garlicky you want the yoghurt to be) in one and a half cup of plain yoghurt with a pinch of salt. If you don’t have yoghurt on hand, you can also make a simple tomato salad which consists of 3 tomatoes and ½ of a brown onion, both diced. 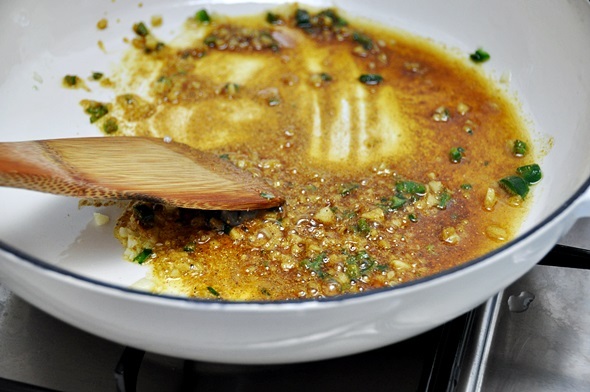 Then stir in some lemon juice, olive oil with a pinch of salt and some pepper as well as fresh chopped coriander leaves. After going through all the wonderful entries, I have selected the comment by Cecilia Warrick. As usual, I will send an email notifying that he/she has won the giveaway as well as requesting his/her postal details. Thank you so much for all your entries! Do look out for the next giveaway. This looks great! Love the addition of almonds for crunch as well! Where is that lovely white and blue pan/dish from? made this tonight. my carnivorous husband went back for 3rds. i kid you not. sooooo delicious.